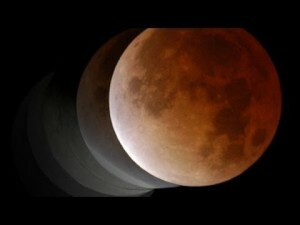 Lunar Eclipse To Bring ‘Blood Moon’ On April 15. so what exactly is a “blood Moon,” and how is it connected to the lunar eclipse? Sky watchers will find out on April 15, as the first total lunar eclipse of 2014 kicks off a series of four blood moons expected to grace the evening sky over the next year and a half. The NASA video will explain more. total lunar eclipses are sometimes called “blood moons” as they can present a dramatically colorful appearance, ranging from bright orange to blood red. The dramatic colors are the result of dispersed light from the Earth’s sunrises and sunsets falling on the face of the moon. 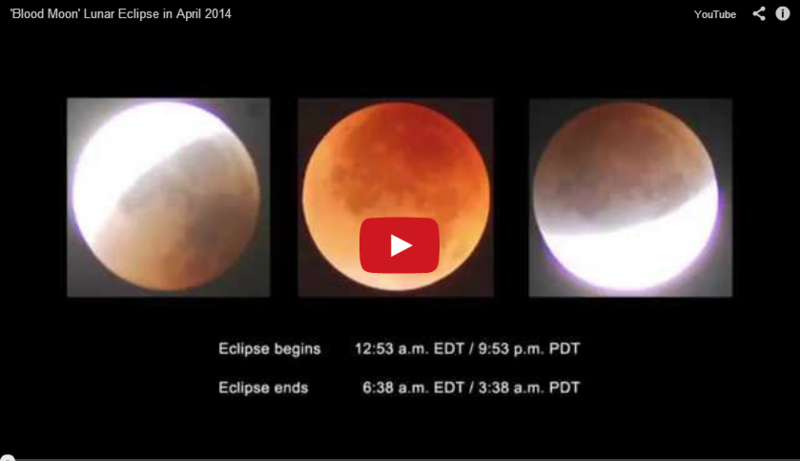 The upcoming eclipse will be the first in a lunar eclipse tetrad, The term for four consecutive lunar eclipses. it will begin at 2 AM EDT on April 15 and will be visible for most skywatchers in North America.